I’ve always subconsciously known that fonts bring particular weight to their content. It was exciting to learn from Errol Morris just how important font can be to a project’s authority with its readers. How is Baskerville not used in most web publications after Morris’ experiment?? I previously used all sans serif fonts because it was the default for my blogs “theme” and it had a modern, updated look that I appreciated. I also couldn’t explain the difference between different fonts to save my life. Based on Morris, it makes sense for me to change to Libre Baskerville (a free Google fonts version of traditional Baskerville which is optimized for web and mobile viewing). This provides my blog with a more authoritative feel, though I probably need to experiment with the headers to pair with this change in body font. Of course there are moments when tradition and authority are not the desired style. Williams and Lupton explain the appropriateness of serif vs sans fonts or when script or slab might provide more impact in a header. But I expect my style will bring my writing authority and scholarly heft. And comic sans is seemingly one of the clearest examples of a font that provides your work with no intellectual weight (Stephanie Seal describes some interesting examples of when a comic sans-like font is appropriate for a dyslexic audience- my comment). Yet comic sans provided one of the more powerful images of 2014. The death of Eric Garner sparked a social campaign for justice in America. As John Brownlee argues, the “everyman” font, comic sans, was perfect for providing a message that was as welcoming to all as it forcefully argued against violent police action. The shirt is simple, in font and design, and the message is similarly simple and direct. It doesn’t need Baskerville to help it argue for justice. 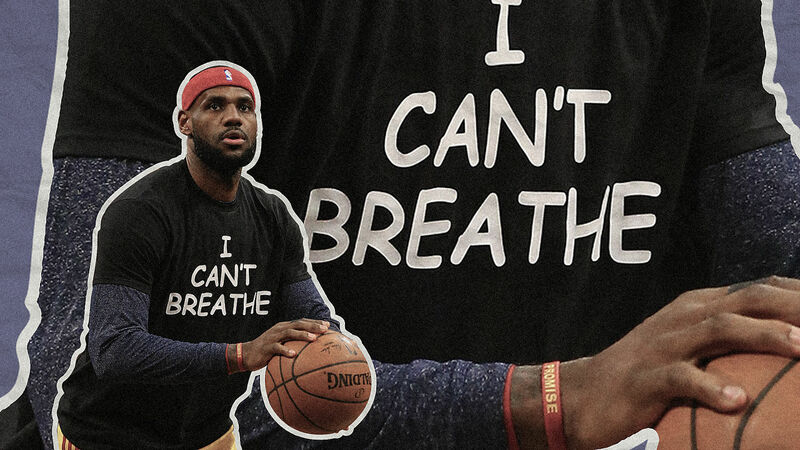 While I don’t anticipate using comic sans in my blog or publications, the I Can’t Breathe shirt shows how each font (even comic sans) can have a particular purpose or tone.